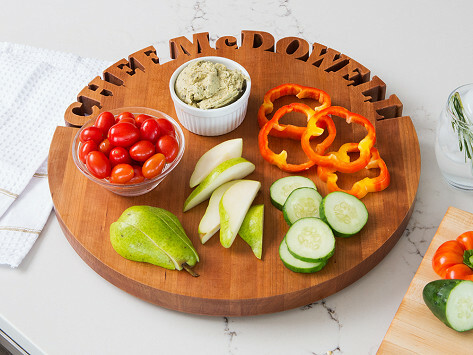 Serve snacks, drinks and more with a personalized Lazy Susan that is handmade in the USA. 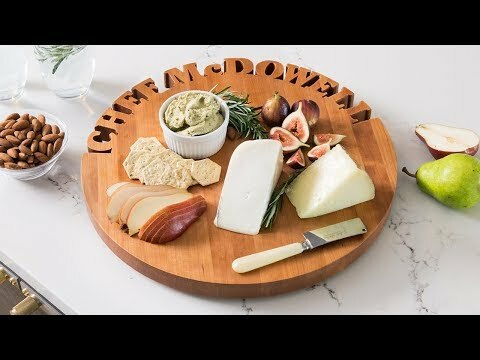 Natural maple or cherry wood is hand-cut to feature a customized saying or name of your choice. It makes for a truly unique (and useful) gift. Dimensions: 16" diameter x 1.5"
This was a gift for my niece and her husband. It was well received. Worth the cost. Beautiful wood, inscription exactly correct. I’m positive she’ll love it. Quality product... Thanks very much.